The new, limited edition anniversary TS808 was made to celebrate four decades of this pedal's exceedingly successful history. Ibanez made sure to include all of the features that have made the stompbox so beloved, packing it with a JRC4558D IC chip and all-analog circuitry and preserving the familiar tone, overdrive, and level control face. Though promising to deliver the longstanding, classic tones characteristic of the Tube Screamer throughout the years, it's doing so with an entirely new look. Special to this edition is its Ruby Red sparkle chassis, which is the first time a Tube Screamer has been offered in this finish. In addition to the 40th anniversary TS808, Ibanez also unveiled the TSV808—an exciting hybrid of a stompbox that blends Ibanez's sensibilities with those of high-end Japanese boutique pedal builder Vemuram. After meeting the folks at Vemuram in Anaheim at the NAMM convention last year and seeing and hearing the tonally rich effects housed in the beautifully crafted brass chassis, Ibanez was driven to partner with the brand to create something great. 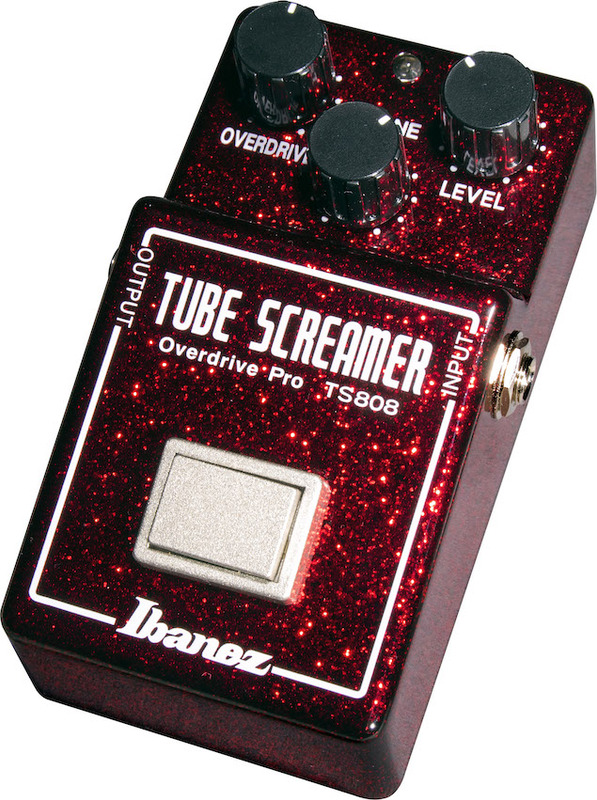 The TSV808 combines the Ibanez Tube Screamer with Vemuram's flagship, the Jan Ray, for a stompbox that brings players the best of both worlds. It features the Tube Screamer's signature mid-boost, while also offering the wide dynamic range and frequency response reflective of the Jan Ray. Every component was carefully selected by a collaborative team of engineers from both companies and includes customized parts and a quad-layered PCB used in the Jan Ray. 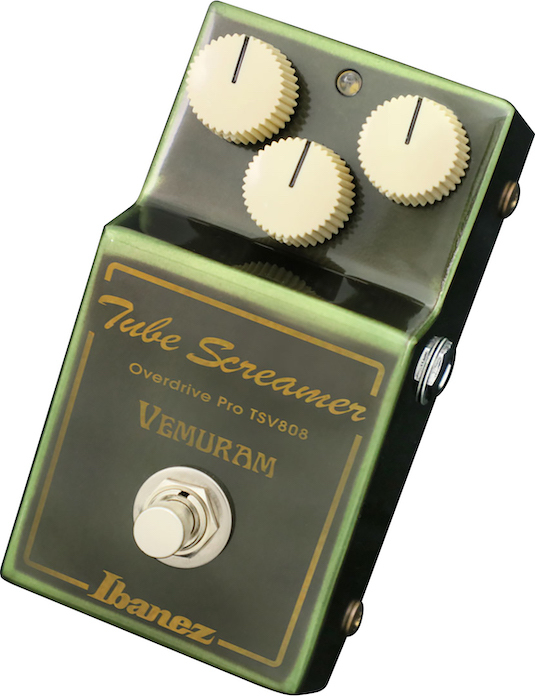 The chassis is another element that takes a little bit from each brand, being the brass enclosure that Vemuram is known for, expertly crafted by skilled Japanese craftsmen, but blended with a dark shade of green to give it that classic Tube Screamer vibe. Control-wise, the layout is borrowed from the TS808, featuring the familiar drive, tone, and level knobs. Lastly, this hybrid is set seven dB higher than the original Tube Screamer, giving players just a bit more punch. The 40th Anniversary TS808 is set to retail at $285 USD, while the price for the TSV808 is still to be announced, so be sure to stay tuned. To keep up with our coverage from the NAMM floor in Anaheim, click the orange banner below.